An English tongue-twister “How much wood could a woodchuck chuck if a woodchuck could chuck wood?” has a Russian analogue which contains crayfish mentioning. And the Russians believe there is no proper summer without ice-cold beer and boiled crayfishes! 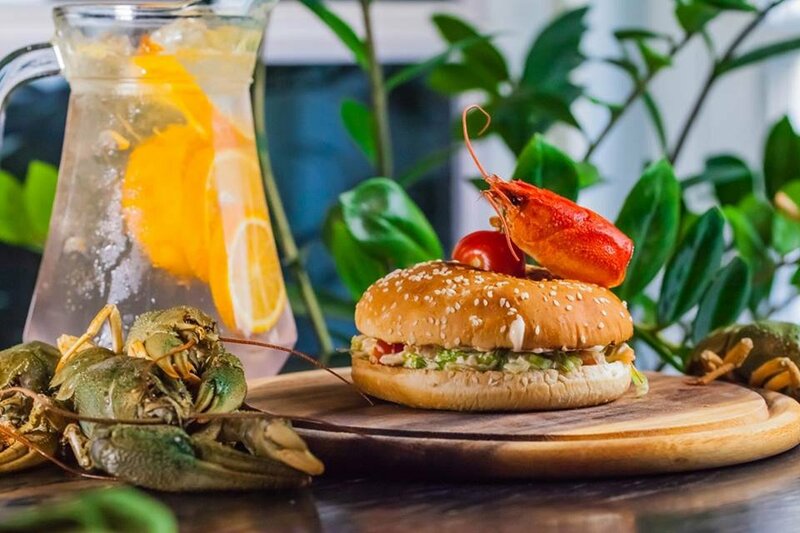 So you’re cordially invited to try new positions appeared on menu of Lawson`s Bar: juicy crayfish burger, spicy Scottish Pappadeaux soup and fresh mango salad with crayfish pieces.